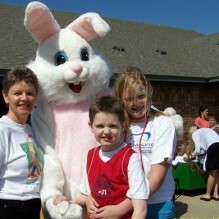 Our Family Fun Days each year brings over 500 individuals for special days to see the Easter Bunny, Santa, crafts, snacks, face painting, bounce house, train and more. 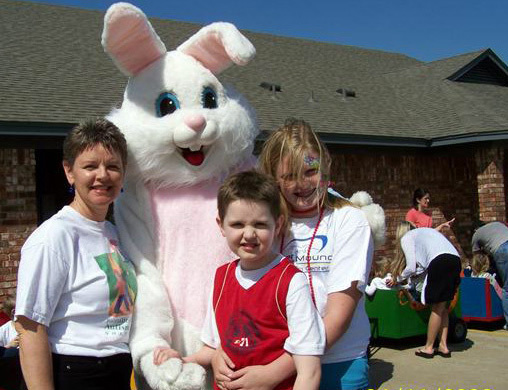 These special days provide children and their families with an opportunity to enjoy a special outing in an autism friendly environment that many of them can’t enjoy in typical community events. For many of these children, it is their first experience to enjoy these activities where their difficulty to relate to their environment, speak, handle their behaviors is more accepted. In addition, the families are better able to cope in a group setting among other parents who also feel the stigma from their child’s difficulty with public outings.